This is a wine you can confidently show off to friends – it's full-bodied, fruit-rich, and thanks to some fire-toasted oak, it tastes like a million bucks too. ...and it's yours for an epic deal, because Matt used his connections in El Dorado – vineyard growers he affectionately calls the Pilot Hill Gang! – to bring you a top-shelf mix of Cab and Merlot. Not anyone gets access to these vines... but your Angel winemaker can! Anything that Matt touches turns to gold 'round here – especially when it's from Gold Country. Get your hands on a few bottles while this vintage lasts. Huge and seriously silky all at once. As big as the Cabs Macario's famous for making, with rich velvety fruit that you expect from a Tempranillo. Mmmm. Macario's found his specialty niche. He knows Cab inside out and he loves working with Spanish grapes in Californian soil. This is the blend he was born to make. This wine is all about balance and elegance. It's hefty enough to stand up to flashy Napa Cabs but elegant enough to be enjoyed with casual wine drinkers. And only Angels could make it possible! Scott’s rich and compelling blend will blow your MIND. Your epic red’s packed with a chock-full of good stuff – flavors of juicy dark plums, black cherries, silky textures and a dash of spice for good measure. Thanks to Angels, Scott scooped up fruit from three prominent vineyards to make this epic blend – velvety lush Cab, dark and dreamy Merlot (from a 25+ year vineyard!) and peppery Petite Sirah for extra oomph. This intense and seductive red will take your BBQ to the next level – pour a glass and let it breathe before you fire up the grill, and by the time you sit down to dinner, you’ll have one heck of a combo. Thanks to thousands of rave reviews for his Shiraz, this Aussie superstar got funding to make you a blend that's bloody-oath DELICIOUS - full of juicy red fruits and a nice, toasty finish. A smooth, tummy-warming red blend like this will bring dinners like rack of lamb and rich, saucey pastas to the next level. Your Aussie winemaker crafted you a top-shelf red that's filled with lifts of wild berries, juicy plums, warm toasty spices and a silky-smooth finish. Using specially-selected fruit parcels, Stuart combined rich, fragrant Margaret River Cabernet Sauvignon with lush and juicy Merlot to bring you this well-structured red. We are whipping out the big guns...and that starts with this showstopping, top-shelf Cabernet Merlot from Stuart Pym. Rich and complex with plums and blackberries, high-end wine like this would normally cost an arm and a leg...but Angel funding makes this Australian beaut an everyday pleasure. Stuart's Cabernet got a new surname- and it isn't nearly as difficult to say as Sauvignon. He was bored of standard reds- so this Aussie went and blended up Cab Sauv and Merlot grapes together. His alchemy is your well-deserved gain. Jean Pascal had access to Chile's finest vineyards and a state of the art winery– he just needed the money and time to make the top-of-the-line, silky red he dreamed about. His day job is making the critically acclaimed Domus Aurea ($60/bottle) so he knows how to make a 90 pt. red that's made to last. This is a velvety blend, full of warm berries and spice... and it just keeps getting better with age! 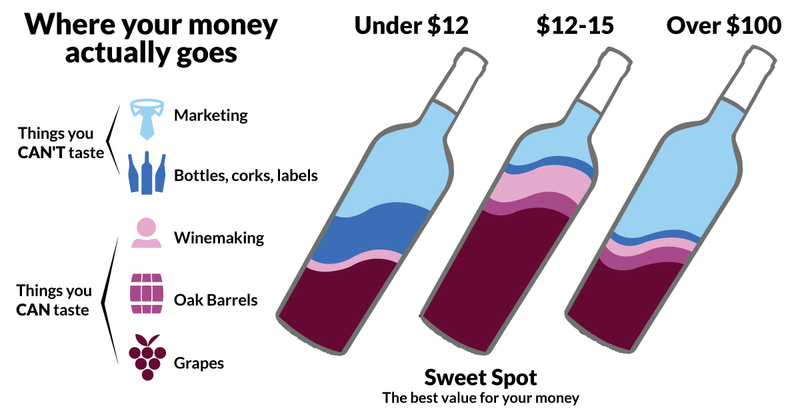 And thanks to Angel funding, you cut the costs of selling and marketing that wine, so you get it for this stunning price – it's still a splurge, but worth it!